Launching later this year, the new Xbox One promises to be a one-stop-shop for all things entertainment with gaming at the helm. 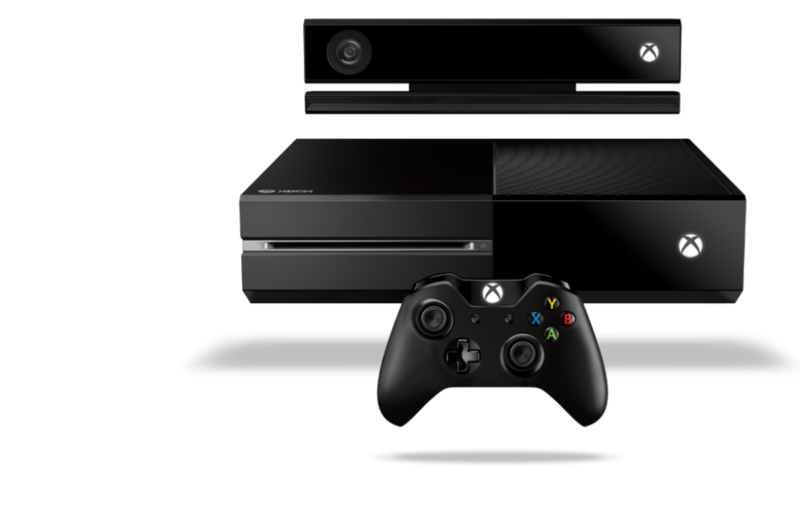 From a strictly specification standpoint, the Xbox One isn’t all that impressive. But given the 8 year span between this model and the release of the Xbox 360, it doesn’t seem like better specs is a top priority. Instead, Microsoft seems focused on building their ecosystem and delivering the goods in other ways. 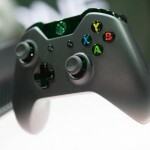 Gaming Controller redesign: more distinct d-pad design, tactile feedback (rumble) “Impulse Triggers” and Wi-Fi Direct connectivity to the console. 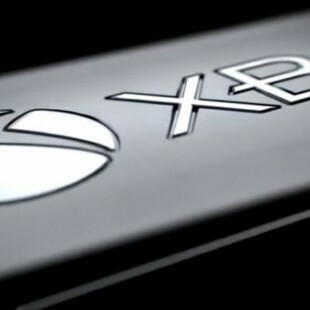 Finally, the Xbox will support playback of Blu-ray discs. It was thought that this would never happen given Sony’s ownership of Blu-ray technology and the PlayStation. Beyond that, Microsoft appears to be hell-bent on getting all online services to play nice together so you can be on Skype while playing your favorite game or watching live sports while you’re checking your fantasy league stats online. You’ll even be able to check Facebook while watching movies! The Xbox One has HDMI in and out so you can plug your cable box in and use the Xbox One as a passthrough device. 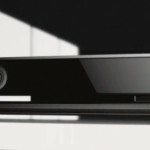 This allows Kinect to control your cable or satellite service through the use of interactive gestures and voice commands. In other words, say goodbye to your remotes for good. 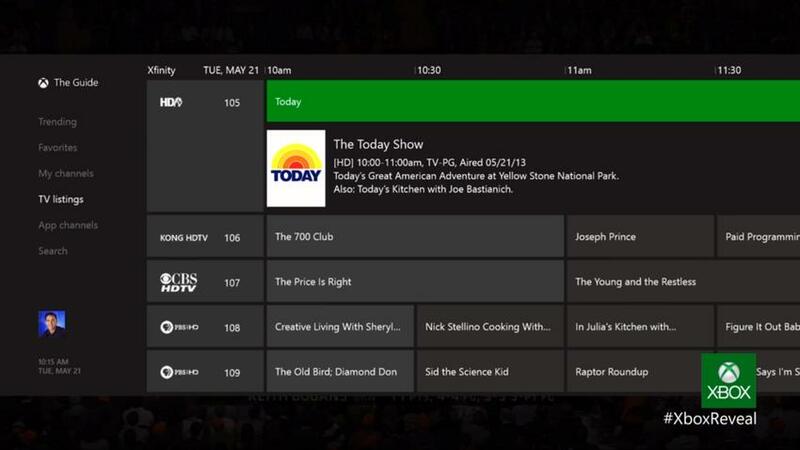 Of course, this functionality would all depend on whether the tv providers will offer it, but today, Microsoft demoed it with Comcast so we know at least one that works. 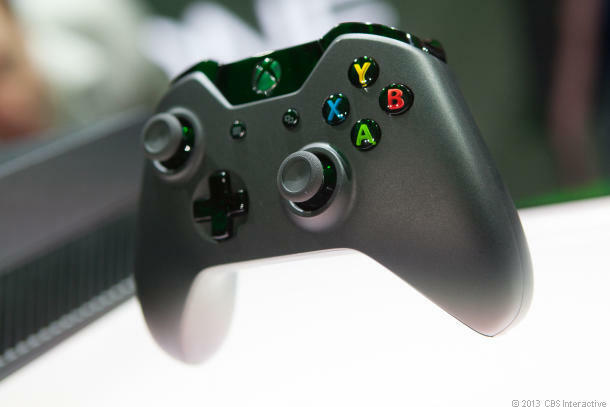 Xbox One does include a front facing infrared port for old school remote control use. The demo didn’t focus too much on the games other than showcasing a few demos, one of which was for Call of Duty: Ghosts (Pre-order your copy today). They showed how much detail has been added to the models as compared to Modern Warfare 3. The attack dogs were the center of attention with the use of actual texture maps from a real German Shepard. They also touted a more realistic approach to character movement, facial expressions and skin details. Let’s hope they add the ability to upload our own faces for mapping on game characters! Before the official announcement, there were a few rumors floating around and it looks like we got some answers to a few of them. Will it play Xbox 360 games? It will not. This will mean that you either have to keep your old setup or look for re-issues of your favorite games via the Xbox Live Store. Will it play used games? Yes it will. One major concern among gamers was that Microsoft would not allow games to be reused or sold to second-hand markets. However, this still doesn’t help you out if you’re playing a game that requires an online code like many sports games today. Does it have to be connected to the internet to work? No it does not. 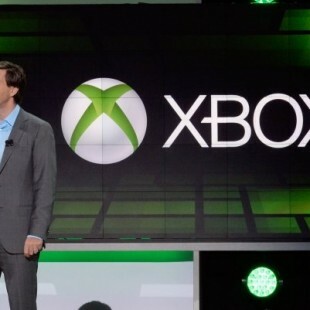 It has been confirmed that the Xbox One will play local games offline. Many voiced concerns over this due to recent failures with online game servers crashing and locking people out of playing games like Diablo and Sim City. I plan on getting this unit, but only because I’m always interested in consolidating my tech gear. 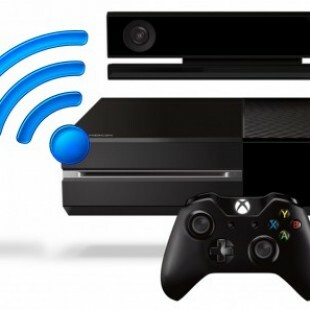 If I can use the Xbox One to replace my Blu-ray player and Verizon FiOS box, I’m in! However, Microsoft didn’t tell us how much this unit will sell for. My guess is somewhere in the range of $399 to $499. The game demos from today mainly consisted on non-gameplay videos so we have yet to see what the games will actually look like, but we can expect to see all of this at the upcoming E3 Expo. 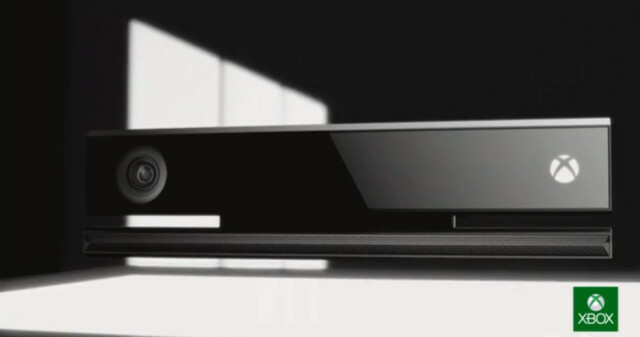 My only concern is that I have Kinect now, but I haven’t used it for anything. But, if the voice commands and gestures work out well for non gaming uses, I might be persuaded to start using it. I’m pretty stoked to see what this thing is capable of at E3. As for an official release date, Microsoft only said, “We will be launching later this year.” My guess would be just in time for Christmas.